Transfer rate of Super-Speed USB 3.0 interface can be up to 5GPBS，High-speed 480M/s,Full-Speed 12M/s operation. Supports Mass Storage Class Drive. No driver installation required for Win2000,Window xp ,Vista,Win 7,Mac 9.2 or later version. External SATA data cable for connecting an External SATA(eSATA) device to an eSATA port. This eSATA cable is designed to solve the interference problems sometimes seen with using cables designed for internal use. 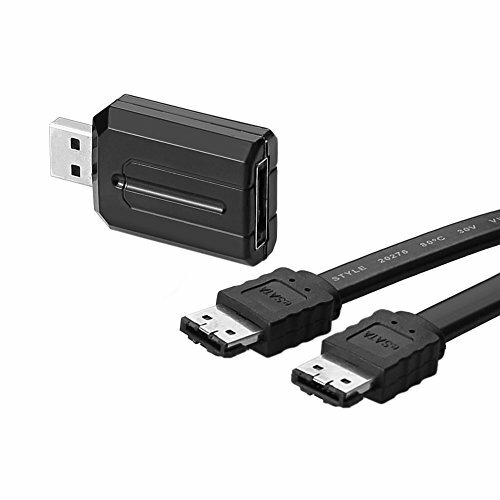 This is USB to Esata adapter ,it just use for the eSATA HDD or other esata device. CAN NOT USE the SATA HDD or other SATA deveice.